These 17 gallon galvanized tubs are hot-dipped and will last for nearly a century thanks to their reinforced rim, body swedges, and offset bottom. Their rustic finish guarantees that they will remain corrosion-resistant and watertight for years on end. They can also be used to store spare parts and tools for easy transportation to your next project. Pick and carry fruit, fill it up with yard work's lanky weeds and toss them over the bank for a job well done. 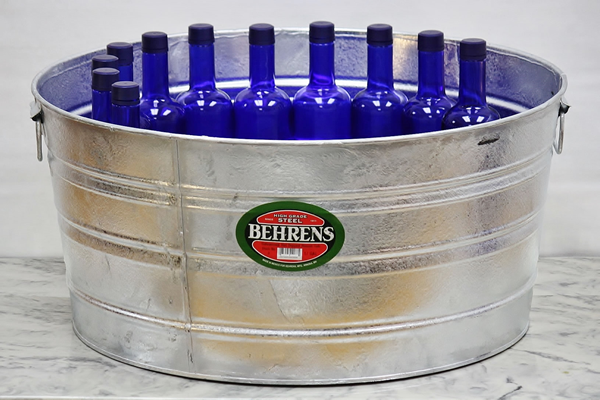 Bring to your next potluck or tailgate, this large galvanized tub holds 57 standard drinks with ice. Decorate for simple country living. Tub finish is rough. May have sharp edges. 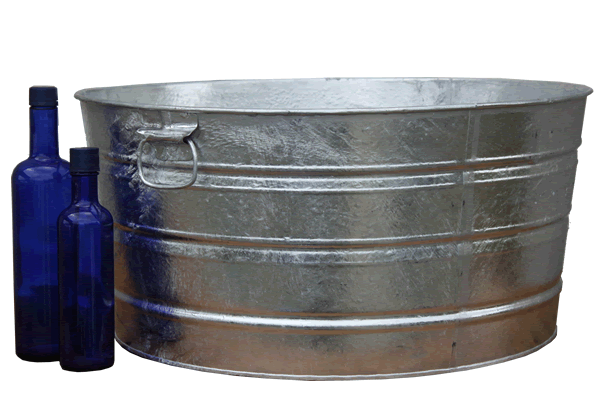 The 17 gallon galvanized tub is also available in a smooth round galvanized style to suit any decor. We also offer similar round tubs in 15 gallon, 11 gallon, and 9 gallon sizes. This really did the trick on the farm. Very happy with it! This is way cooler than any cooler at any tailgate. It holds enough for the whole party and keeps them nice and cold.